Affordable Housing On The Way! Home » News » Local News » Affordable Housing On The Way! By BStigers on July 7, 2018. Mercy Housing of California, a major developer of affordable housing, has been given the go ahead for a 79 unit development to be on property on the east side of 1st street between Bell Road and D Street in North Auburn. 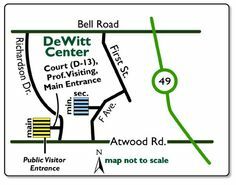 The land is owned by Placer County and located on the Dewitt Government Center. The developer plans to have units available for occupancy by 2021 with three three story apartment buildings and seven two story attached townhouses. The Board of Supervisors voted to approve the option at its June 26 meeting. It has committed no county funds to the project but the proposal includes a contribution by Placer County toward the project valued at $2.1 million in the form of a long-term, low-cost lease and development impact fee waivers and credits. The county’s contribution of land is potentially valued at $1.5 million.